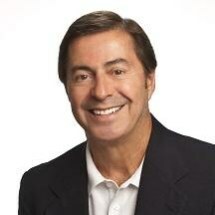 Daniel C. Kasaris graduated with honors from Youngstown State University in 1979 and Stetson College of Law in 1982. While in law school, he worked as a private investigator and then as a law clerk in St. Petersburg, Florida, where he has practiced personal injury law ever since. Mr. Kasaris has vast experience successfully representing victims of negligence by individuals, businesses, governments and product manufacturers. He has litigated cases arising from motor vehicle accidents, medical malpractice, slip and falls, assaults, defective products, food poisoning and insurance claims. Mr. Kasaris has appeared multiple times before appeals courts and the Florida Supreme Court where his victories created law benefitting consumers. One appeals court recently referred to a case he won at the Florida Supreme Court as the "mother of all government liability cases." Mr. Kasaris' first civil trial in the early 1980's resulted in a $25,000 verdict against McDonald's Corporation in a food poisoning case. Since then, he has settled and litigated hundreds of food poisoning claims, some with values into six figures. Mr. Kasaris has been interviewed and consulted on legal matters by newspapers and television stations on issues such as auto insurance, food safety and injuries to first responders. His experience and record of success have led many sheriff's deputies, police officers, firefighters, paramedics and physicians to seek his legal advice and to refer their friends and family members. Mr. Kasaris' charitable endeavors include supporting sports activities at local schools, recreation centers and police agencies as a means of building character, teamwork, discipline and camaraderie. He has also been a benefactor to All Children's Hospital, Hospice, Community Action Stops Abuse, the Humane Society and various college scholarship funds. His outside interests include fishing, basketball, guitar, travel, the arts and physical fitness. He has drafted legislation designed to shield consumers from liability in disputes between their doctors and insurers and has advocated for safer waterways for boaters and manatees before the Florida Fish and Wildlife Conservation Commission. Mr. Kasaris treats every client with dignity and respect as an individual whose health and personal needs are of paramount importance. He will be pleased to personally discuss your claim with you in the comfort and privacy of his office, by telephone or through your email contact.